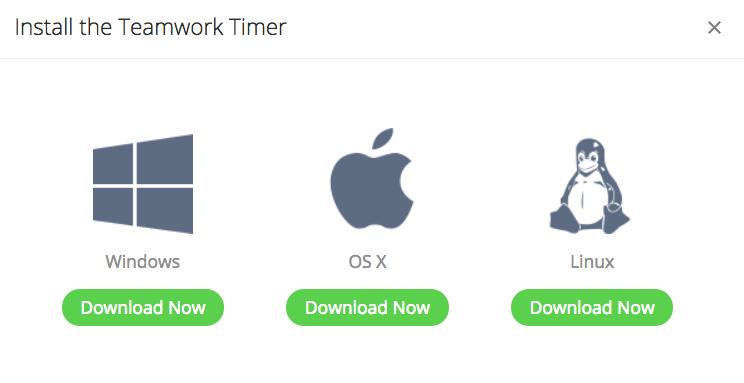 Within Teamwork Projects, you can download the Teamwork Timer desktop app to log time to your projects. The Teamwork Timer helps you to keep track of your working day and integrates with Teamwork Projects by importing tasks from your projects to log time. To download any of the above, you can visit our Teamwork Timer page and select the blue Download option. You can also download this directly from the Apple App Store or install the Teamwork Projects Google Chrome extension which includes the timer.